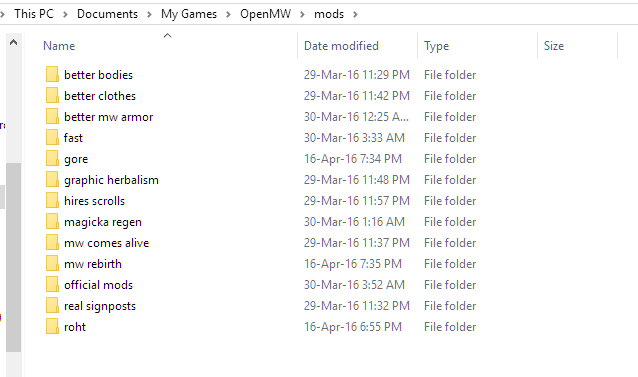 so I really love OpenMW, but one thing that always bugged me is that you have to manually add all of your mod folders to your openmw.cfg as explained on the wiki. 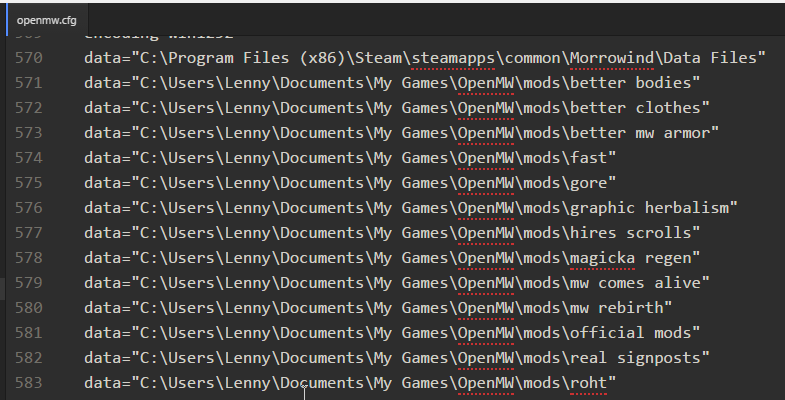 So I created a simple program that automatically discovers all your mod folders and updates your openmw.cfg accordingly. You can also add a "-" to the start of a mod directory to make the program ignore it. Note that this preserves your load order. 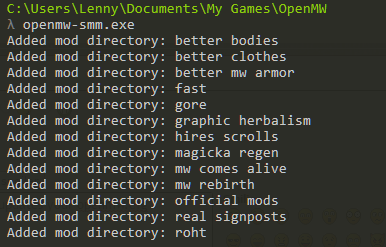 Also note that this will remove folders that you deleted from your openmw.cfg but it wont(!) disable the mods. Hope I saved some of you some tedious config editing! Last edited by Lenny on 03 Apr 2019, 21:20, edited 3 times in total. Hope I saved you some trouble! Ui I didn't know that was a thing yet. I might have a look into that and maybe take some hints from https://github.com/jmelesky/omwllf to gather some research if it would be feasible to do.